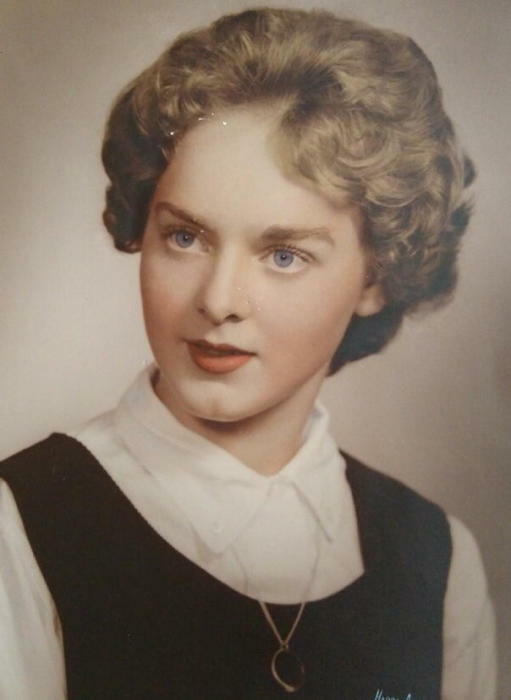 Helen K. Drake of Napanoch, NY, passed away on Tuesday, February 12, 2019 in the comfort of her home. She was 76 years old. Helen was born in Franklin, NJ on September 1, 1942; she was the daughter of the late John and Corinne (Glover) Kane. Helen graduated from Hamburg High School in Hamburg, NJ. She married Charles V. Drake on November 4, 1965. They resided in Hardyston Township for 10 years before moving to Napanoch to raise their family. Mrs. Drake had worked at the Eastern Correctional Facility as a Civilian Employee until her retirement in 1996. She was a past president of the Ladies of the Elks BPOE 1971, a former member of the Charlies Angels Bowling Team and the Golden Guardsman Drum Corp. Helen enjoyed crocheting, knitting, quilting and making topiaries. She was a huge fan of Elvis Presley and collector of Elvis memorabilia. Helen loved watching the hummingbirds in the spring and summer months. Helen is survived by her husband Charles, their children, Dawn (Donnie) Martini, Wendy Small (Robbie Stedner), Charles Drake Jr. and Patricia McKay; grandchildren, Debra Fisher, Donna Garritt, Robert Stedner, Billy Jo Drake, Stephen Drake, Jessica Damms, Crystal McKay and Chelsea Krom as well as several great grandchildren. In addition to her parents Helen was predeceased by her sister Judy Drake. Visiting will be held on Sunday, February 17, 2019 from 3-6pm at Loucks Funeral Home, 79 N. Main Street, Ellenville, NY. All are invited to celebrate Helen’s life at the Elks Lodge following visitation. Burial will take place at Fairview Cemetery in Sussex, NJ at a later date. Contributions can be made in Helen’s memory to Hudson Valley Hospice, 374 Violet Ave., Poughkeepsie, NY 12601.